Looking for a new, fun outdoor fitness routine? Heres why Nordic walking makes for an incredible adventure, whether in Austria, New England, or beyond. Looking to change up your outdoor exercise routine? 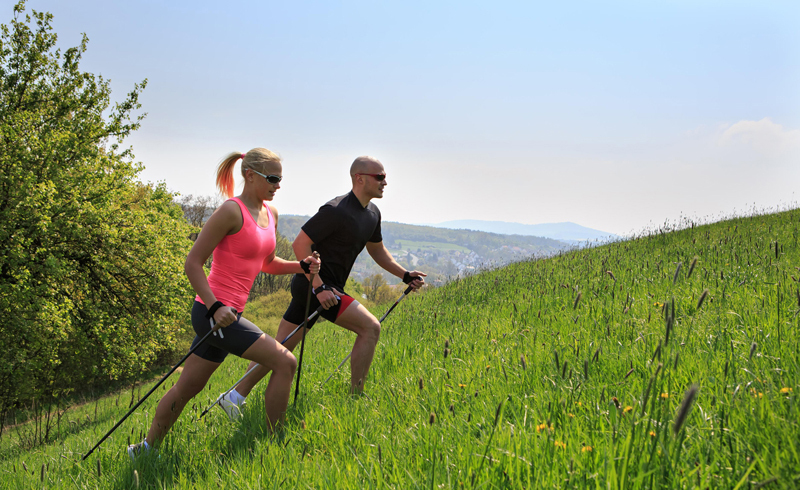 Try Nordic walking and enjoy the many benefits the sport has to offer. Nordic walking, a full-body workout that was originally designed as off-season training for cross-country skiers, is fast becoming a popular fitness option for others who are looking to harness the health benefits of regular outdoor activity. In fact, the sport—which is basically an amped up version of walking that involves using ski or walking poles to apply force and push forward off the ground—has already attracted an estimated 12 million people throughout Europe and three million in the U.S, according to U.S. News and World Report. So, what is it that makes striding at a brisk pace with two poles so appealing? Here are four reasons why you should try Nordic walking this winter. Anyone can give it a go. Not only is Nordic walking low-risk, low-impact, and easily enjoyed in any environment, but it’s also beginner-friendly and a great option for anyone who is looking to increase his or her fitness level. Start at whatever pace is comfortable for you, and work your way up as you get the hang of the movement. Join a club and try it at your local park, or pack a Systems Go Duffel and book a Nordic-inspired escape to experience the benefits of this simple-yet-effective fitness routine. You can try it in some incredible destinations. Perhaps the best thing about Nordic walking is the fact that you can do it pretty much anywhere—however, it’s most enjoyable when you’re surrounded by epic alpine landscapes. Here are three spots where you can bring your poles, get in a workout, and enjoy some of the world’s most spectacular terrain. Visit the bayside town of Bar Harbor and explore the rocky beaches, woodlands, and glacier-scoured granite peaks of Acadia National Park. Put your waterproofs in a Pack-It™ Specter Stuffer and head out in search of adventure. While striding through this 47,000-acre coastal playground, poles in hand, you just may spot moose, bears, whales, and seabirds. Two legs are definitely better than four wheels when it comes to exploring southern England’s New Forest National Park, which is defined by the ancient woodland, rugged heaths, and a hidden coastline. Nordic walkers can stride along 140 miles (225 kilometers) of trails that are often peppered with wild donkeys, horses, and cattle. Gentle summits, babbling springs, and crystal clear mountain lakes will envelope your view when you’re Nordic walking in Austria’s Nock Mountains. Enjoy the wonderful hospitality of an alpine lodge, wake up to fresh mountain air, and enjoy unforgettable panoramic views of Grossglockner Mountain and Hohe Tauern National Park. Wherever you head, use Pack-It™ Compression Sacs to reduce the size of your bulky winter clothing in your backpack, and keep your dirty laundry separate from your clean clothes. It can burn some serious calories. When you use the Nordic walking poles and engage your whole body in the process, you can increase your oxygen consumption and burn more than 400 calories an hour—that's 1.5 times the average amount for normal walking, according to the American Nordic Walking Association (ANWA). This is largely because the activity uses up to 90 percent of your muscle mass, compared with 70 percent when walking normally. Pick up the poles for at least three hours a week, and that calorie burn will also help you stay healthy. According to the ANWA, if you burn an additional 1,200 to 1,500 calories doing physical activities each week, you’ll reduce your risk of getting sick. It’s good for your mind, body, and soul. 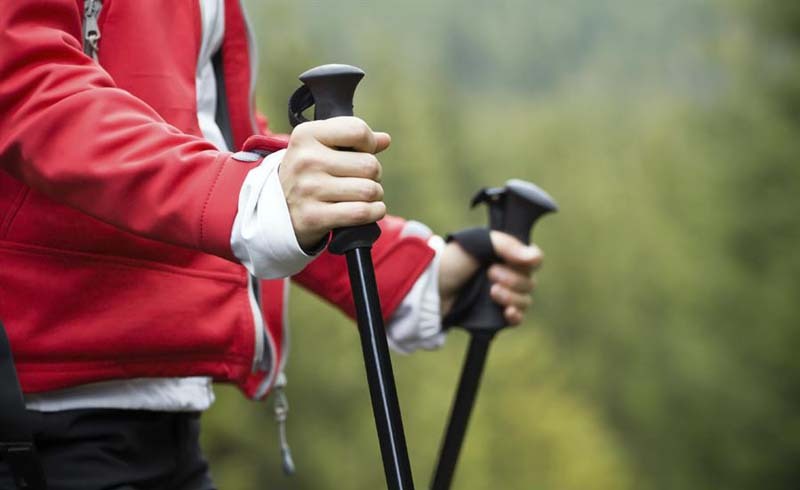 The benefits of Nordic walking go well beyond taking in outdoor scenery and losing weight. According to a study published in the U.S. National Library of Medicine, the exercise also has positive effects on resting heart rate, blood pressure, and exercise capacity, and can be beneficial in preventing health problems. And, as noted in U.S. News and World Report, Nordic walking can even help provide symptom relief for those with certain health conditions, like Parkinson’s disease and multiple sclerosis, as well as orthopedic issues. Not only that, but Nordic walking can also help boost your mood by getting you outside and moving. By upping your vitamin D level and ensuring that you have some time to disconnect from the stresses of daily life, Nordic walking can act as a stepping-stone to better overall health and happiness. There’s no better time than the present to give Nordic walking a try. Where will you go and explore with your poles this winter? Share your thoughts in the comments, below.